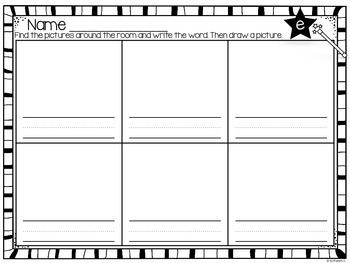 This write-the-room pack is perfect for students to get extra hands on practice with CVCe words. 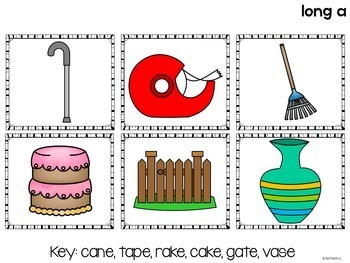 There are pages that are ready for you to print and use and others that are made editable so you can choose the vowels your students may need extra practice with. 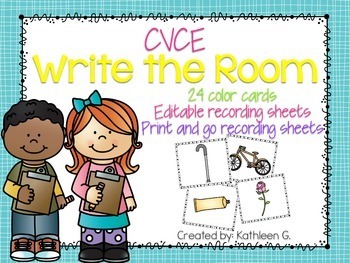 It comes with 24 picture cards, six for each of the vowels, and many recording sheets. This pack is designed to last you for weeks with many options. NOTE: You must use Adobe to edit. 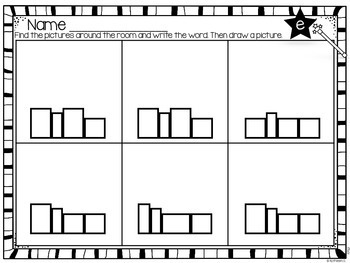 Please let me know if you have any questions before purchasing.